With winter and spring sports overlapping, there is a lot happening in Cardinal athletics at the moment. Here is a recap of what you might have missed in sports this past week. Softball is off to a solid start after two out-of-state tournaments, posting a 6-3 record so far this month. The Cardinals first traveled to Orlando for the UCF’s Friends of Jaclyn Invitational on Feb. 9. They went on to win four out of their five games, scoring 24 total runs. This past Friday, softball defeated Northwestern in both games of a doubleheader in the ACC/Big 10 Challenge in Raleigh. In the final two games of the challenge, Ohio State edged Louisville 6-5 then won easily 4-0. Caitlyn Ferguson and Alison Szydlowski lead the team with 12 hits each, while Jenna Jordan hammered two home runs. Softball travels to Orlando again on Feb. 23 for a five-game stint in the D-9 Citrus Classic 1. The men began February with a 4-1 loss against Dartmouth, but have since swept four straight matches for a 7-3 overall record. Head coach Rex Ecarma added to an already storied career with his 450th career win out of 28 seasons. Because of his winning streak, Christopher Morin-Kougoucheff was named the ACC Men’s Tennis Co-Player of the week. Morin-Kougoucheff posted two singles wins and three doubles wins over the course of three matches. 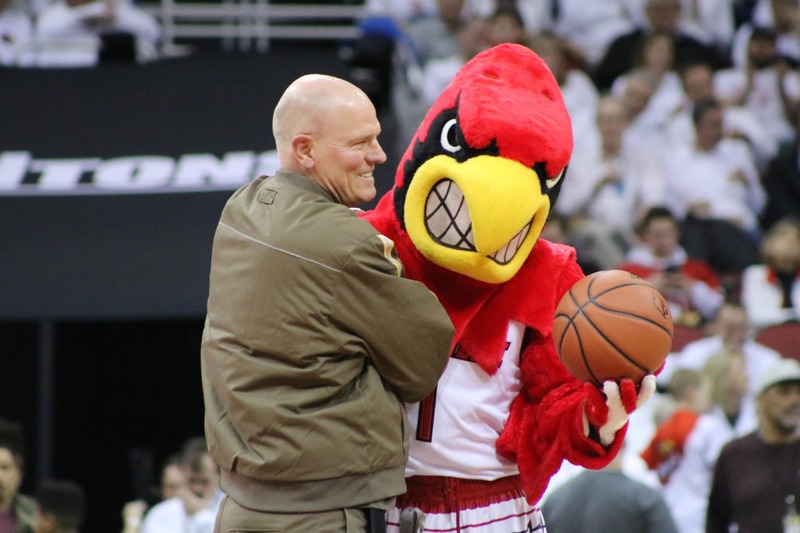 The Cardinals look to extend their winning streak against Virginia on March 2. The women have won nine of their 10 matches in 2018, making for a terrific start in Atlantic Coast Conference play. In addition, the Cardinals made history on Feb. 9 defeating Notre Dame 4-1 for the first time in school history. This past week, Louisville topped Marshall 5-0 at the Bass-Rudd Tennis Center. They followed up with a victory over Furman at the Bass-Rudd Tennis center on Sunday. Louisville will face Eastern Kentucky on Feb. 23 for their next match. Under new coach Scott Teeter, lacrosse won their opening match at Cincinnati 15-9. Junior transfer Tessa Chad led the attack with four goals and two assists. The team utilized a balanced attack with 10 Cardinals scoring overall as well. Following a 16-8 win against Marquette, the Cardinals fell 12-5 to Denver this past Saturday. Shayla Scanlan scored twice and Lexie Ball saved 10 in a snowy game at the U of L Lacrosse Stadium. The Cardinals travel to Indianapolis to face Butler on Feb. 22.